The LOVED tee expresses this thought for everyone to see in beautiful hand cut letters. The fabric letters are applique stitched on a cotton tee for a beautiful finish. Express your support of Breast cancer awareness with the LOVED Tee! I love this shirt for my daughter. 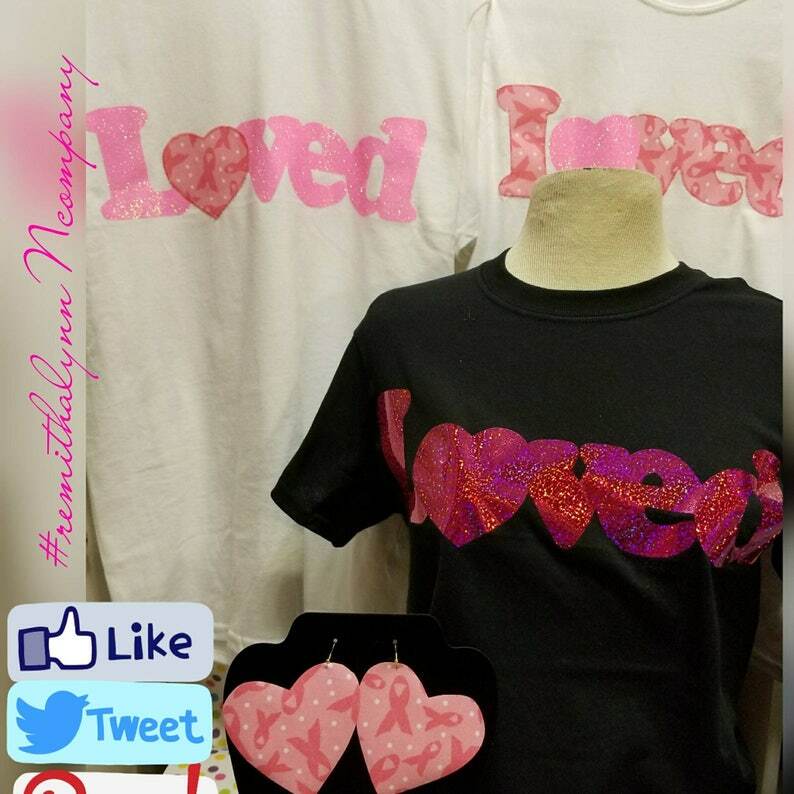 She is very loved and this is the perfect way for her to tell others they are also loved when they read her shirt! Thank you for prompt service and a perfect product.